Find My Workspace lists over 95% of the executive office suites market in Houston. Simply click Request Quote to check pricing for one office, or Add to Basket for multiple offices. Downtown Houston, Houston - Main St. This is a prime location and professional two-story office building is near a variety of restaurants and various shopping destinations. This space welcomes your guests with its lush open atrium with skylights allowing an abundance of sunlight to enter. For convenience on-site we offer the following amenities: conference room, mail-room and vending machines. A professional office environment that was recently fully renovated. This building has affordable office space with plenty of windows and ample garage parking. Tenants will also enjoy on-site property maintenance, management and leasing, an on-site deli & ATM, 24-hour secure key card access, an after hours security guard, and common area conference room with WiFi. This is a professional office environment with a landscaped atrium lobby with fountains, this building also has a covered parking available. Tenants will also enjoy on-site property maintenance, security cameras and video surveillance, an on-site deli with vending machines, FedEx mail drop boxes, and 24-hour secure key card access. This center offers on-site management, maintenance and leasing, with gated parking and 24-hour programmable access, beautiful landscaping, practical floor plans, and much more. We pride ourselves in customer service. Enjoy the convenient business location in Southwest Houston. This space has a variety of office space and a spacious atrium lobby with 24-hour secure key card access for your convenience. Tenants will also enjoy the on-site deli and on-site maintenance. The property contains security cameras, video surveillance & exterior lighting system, with a parking ratio of 3/1,000 SqFt. Yesterday’s sterile offices lack the energy and buzz of today’s coffee shops, which have become favored work spaces for many people. At this vibrant center, the buzz is brought into the cafe and work space, yet at the same time the offices are fully private. It combines the best of design, privacy, and cafe-culture to offer a variety of compelling office options. With 24-hour access and our administrative support, you will not be disappointed with our center to suit your business needs. This space is a professional office with a recently renovated lobby. This building’s office space has plenty of windows and ample parking at an affordable price. Tenants will also enjoy on-site property maintenance and leasing, overnight FedEx and mail drop boxes, an on-site Prosperity Bank & ATM, security cameras and video surveillance, and 24-hour secure key card access. This is a beautiful, professional office environment with lush, manicured landscaping and a multi-level parking garage with a covered walkway. This building provides quality, affordable office space with plenty of windows and natural light. Tenants will also enjoy access to on-site property maintenance & management, FedEx & UPS drop boxes, security cameras & video surveillance, and an on-site deli with outdoor tables and seating. A professional office environment with a spacious lobby and ample surface and garage parking. This building provides quality, affordable office space with plenty of windows, as well as a tenant conference room. Tenants will also enjoy on-site property maintenance, security cameras and video surveillance, an on-site convenience store & deli and 24-hour secure key card access. This is a professional office environment. This building provides quality, affordable office space with plenty of windows and ample parking. Tenants will also enjoy the on-site deli, security guard, security cameras and video surveillance, marquee signage opportunities, and 24-hour secure key card access. This center is a professional office environment with a beautiful, lush atrium lobby with fountains. This building is affordable space with plenty of windows & natural light. Tenants will also enjoy access to on-site property maintenance & management, security cameras & video surveillance, and covered parking. These buildings provide affordable, quality office space, with plenty of windows and ample garage parking. Tenants enjoy on-site property maintenance and management, overnight FedEx & mail drop boxes, an on-site deli and conference room, video surveillance, and 24-hour secure key card access. Conveniently located off of Beltway 8 near I-45, FM 1960 & Hardy Toll Road, close to Bush Intercontinental Airport with easy access to The Woodlands. This is a professional environment with an extravagant garden atrium lobby. This office building provides quality, affordable office space with features like 24-hour secure key card access and security cameras, video surveillance and exterior lighting system. Tenants will also enjoy the on-site Murphy’s Deli and on-site maintenance. The property is comprised of two adjoined, four-story office buildings with an adjoined two-story parking garage and ample surface parking. Both buildings have large, roomy atrium lobbies with 8′ by 8′ skylights providing for plenty of natural light. Recent capital improvements on the property include four 120-ton chillers (two at each building) that were installed in 2010, VFDs, controls and building automation systems. Renovations include new flooring, walls, and ceilings; updates to building systems include HVAC, electrical and plumbing; and upgraded lobbies, corridors, other common areas and restrooms. This is a professional office environment that has been completely renovated since it`s construction in 1982. This building provides quality, affordable office space with plenty of windows and a spacious lobby atrium. Tenants will also enjoy on-site property maintenance, security cameras and video surveillance, security patrol, covered parking opportunities and 24-hour secure key card access. This center is a professional office environment with a roomy atrium lobby. The Class A building provides quality, affordable office space with plenty of windows and natural light. Tenants will also enjoy access to on-site property maintenance, management and leasing, ample parking, security patrol & surveillance cameras, and an on-site Wells Fargo bank. The center provides secure parking, and flexible terms are available for the office spaces offered, which are coworking spaces with dedicated desks, as well as virtual office options. The space is bright and an inspiring place to work, with natural light flowing throughout, and spectacular views form your window. This collaborative workspace is located in the heart of Upper Kirby and offers members access to flexible options amongst like-minded professionals, with bespoke options to suit you and your team. The center is accessible 24-hours a day and offers members access to the a business club, as well as on-site amenities including; meeting rooms, reception services, postal facilities and mail handling, an on-site management team, office cleaning, break-out facilities and lounge space and use of a board room. This office’s private suites are amenity-rich and move-in ready. The offices come fully furnished, technology equipped and grant you 24/7 access. 100mbps fiber internet, mail service and use of the prime downtown business address are included. The center also offers state-of-the-art conference rooms and event space, as-needed administrative assistance, and free amenity space for all clients. Inquire today about renting a budget-friendly private office, co-working space, virtual office, conference room or event space. This center believe in small business, the self-employed, and entrepreneurs because like you, that is who they are. If you desire a modern and professional office space to run your business and you need it at an affordable rate, this is the place. This center is offering brand new, beautifully modern, furnished office suites in a gorgeous 3-story building. Boasting views of the growing downtown metropolis, these offices are a must-have! Located in the heart of Houston with a prestigious business address in this affluent area, near Galleria shopping and upscale restaurants. Houston Intercontinental Airport is only 35-minutes from this center, and Houston Hobby Airport only 25 minutes away. Easily accessible to I-10, U.S. 59, the 610 West Loop, and the Sam Houston Tollway, the center combines first-class business service with the latest technology. The building has security system 24 hours, and individually managerial system, free parking garage, the mailman come to building twice a day and onsite deli. Provides virtual office services, Glass Room, Multipurpose room, Executive offices and Dedicated desks. There are six packages that include the office services each is Basic Standard, Premium, Silver, Gold. Titanium. Originally built in 1966, this recently renovated two-story office building is located in the heart of Clear Lake just minutes from I-45, Bay Area Blvd, the Kemah Boardwalk, and Johnson Space Center. This Center is in close proximity to Clear Lake area banks, hotels, restaurants, movie theaters, and shopping. Additionally, there is free space and expansion planning, a comfortable office climate, twenty-four-hour building access and much more. This building also features a loading dock for easy access to large deliveries or shipments. **Grand Opening Specials** Brand new, FULL service executive suite located within walking distance to great restaurants and shopping. On-site café and bank. Monthly rate includes office, furniture, high speed internet connections, phones, conference room usage, unlimited black and white prints/scans/copies, parking for you and your guests, coffee and tea, utilities and janitorial services. With multiple options available, flexible pricing is offered to ensure that you’re selecting the right space for your business. The on-site security team provides a safe work environment, that also includes secure parking. 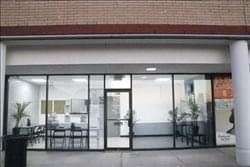 This space has a large renovated lobby with a video surveillance & exterior lighting system. The building also contains on-site maintenance and parking ratio of 3/1,000 square feet and a Metro Bus Route is a nearby as well. To visit: Take US-59 South, from 610, turn right. 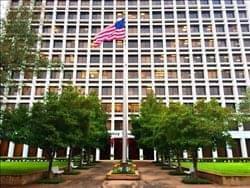 To obtain information for your selected Houston Executive Office Suites, please tick the "Add to basket" box for each office you prefer and complete the form below. We will then send a detailed report via email.